Two of the hottest names in music have sparked rumors that they may be working together on a collaboration. 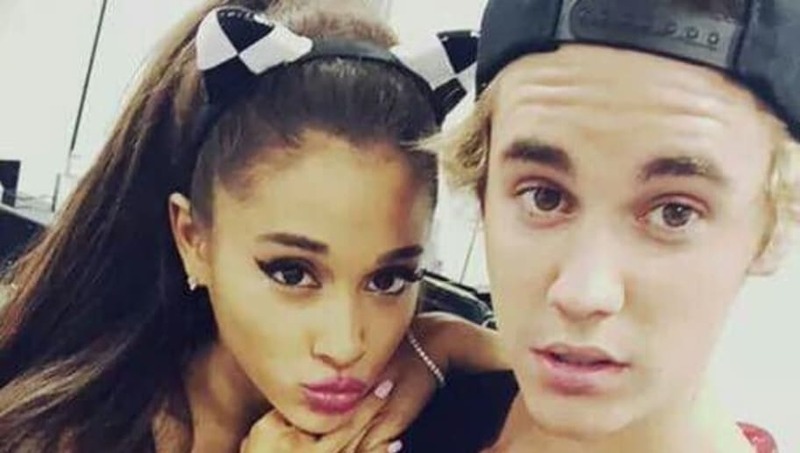 Ariana Grande and Justin Bieber stirred up speculation among fans of a collab when Justin liked a fan's comment on a photo of Ari on Instagram which read, "justin drew bieber I DARE YOU to like this comment if you guys are working on a collaboration." While it's far from solid evidence, there is something to be said for the fact that Justin went out of his way to like it. The picture the comment was originally posted on included Ariana sporting a Drew sweatshirt, which is Justin's clothing line. Justin and his wife Hailey were spotted hanging out during Ariana's set at Coachella this past weekend, and were joined by the likes of Billie Eilish and James Corden as well. The rumor comes after Bieber announced he would be taking some time off to focus on his mental health and relationship with Hailey, and opened up on Instagram about his struggles with depression. However, the "Sorry" singer also revealed today he has a collab with Lil Dicky coming this week. So it appears he's back in the music scene after all. We wish Justin all the best, and hope to see him working with Ari sometime in the future.